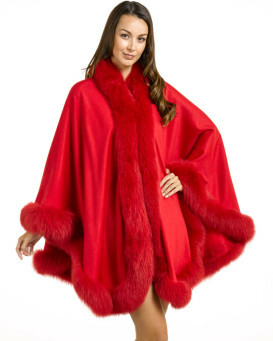 How thick is the Fox Fur Trim on this cape? 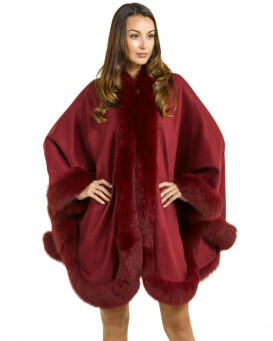 A: This cape features Fur Trim measuring 3.5cm, as taken from the leather backside. 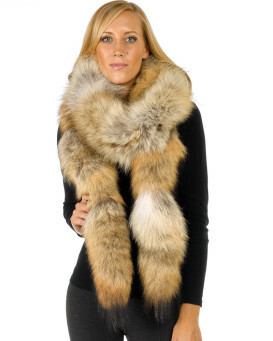 However, when taking into consideration the extension of the Fox Fur itself, the Fur Trim measures between 9-12cm on the fur topside. Grey Cashmere will look great with absolutely anything, if you feel that black is too dark and you're not one for lighter colors than this grey cape is perfect for you! 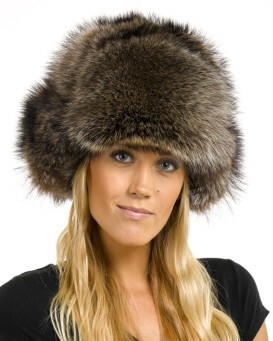 The subtle difference between the black fox fur trim and the grey cashmere offers a stunning dynamic that will draw attention in the most subtle of ways. 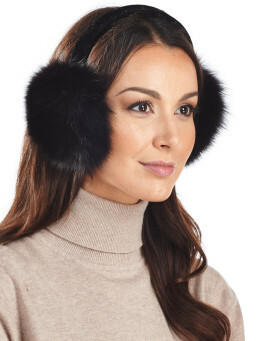 Perfect for the fall or those warmer winter days. 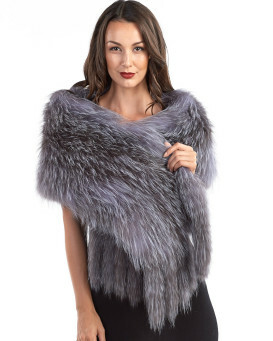 No wardrobe is complete without a cashmere cape, so why not make that much needed addition with this Grey Cashmere Cape with Black Fox Fur Trim, it will not disappoint.